A survey conducted in France characterized the impact of psychological perception on possibly improving quality of life. Coming to grips with one’s mortality remains as one of the more mature lessons that adults face as they enter older phases of their life. The emotional weight of these realizations deserves to be examined to help future generations maintain dignity and continue living their lives fully—unbound by stigma and improve quality of life. 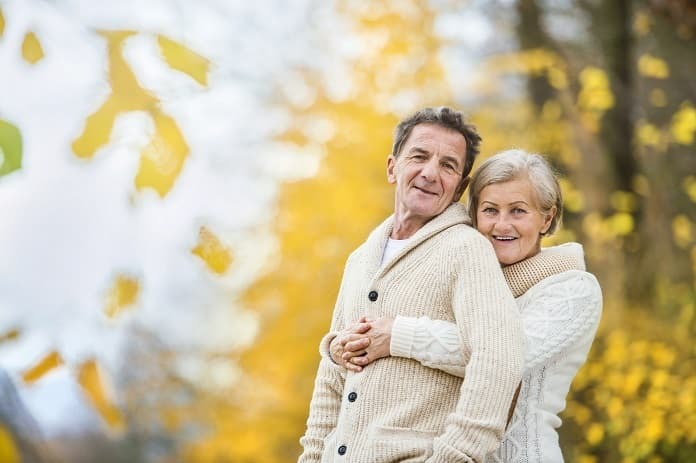 The French Ministry of Research sponsored a snapshot survey of people aged 55 years or older to help identify potential areas of improvement in helping people accept their senescence and age successfully. The study had 258 final participants with an average age of 67 years that fully completed the questionnaires sent to them. These questionnaires gathered information such as socio-demographic metrics, personal perceptions of aging and perceived health, well-being, and self-esteem related to socio-economic status. The investigators plugged these areas of interest into a quality of life scale and life satisfaction index that translated the answers into raw data for drawing conclusions. The participants’ socio-demographic information was used to model statistical analysis for final results as well. The results were published in PLOS One. According to the scores in quality of life and life satisfaction, the results showed that respondents generally perceived themselves as healthy and prosperous. The largest disparity in maintaining the quality of life was psychological distress and its subcategories: poorly perceived health, lack of self-esteem, and pervasive negative stereotypes of old age in society. The study confirms the effect of psychological stressors as a negative predictor of quality of life. Conversely, positive perception of aging—whether from self-reliance or external support—were proven less vulnerable to negative older adult stereotypes. Personal strategies such as reframing a given situation, acceptance of the unchangeable, and humor demonstrate the role of coping with emotions rather than the actual problem older adults face. The researchers are confident that this comprehensive model shows more psychological facets that directly (or indirectly) mediate quality of life. However, they do list some limitations: the subjects did not include any with cognitive impairments nor socio-cultural differences in contrast with the French subjects selected. The authors recognize the high variation in cultural perceptions aging and recommend a cross-cultural study for validations of theirs, though they mention that similar relationships have been found across 20 countries. With many citizens crossing the threshold into late adulthood, it is important to study the factors affecting the quality of life further. Besides maintaining human decency that makes communities and countries strong, maintaining a high quality of life may be able to reduce medical and health care costs. As the authors mention, the implications of this and further study can help maximize psychological resources that contribute to healthy aging and improve quality of life among older adults.